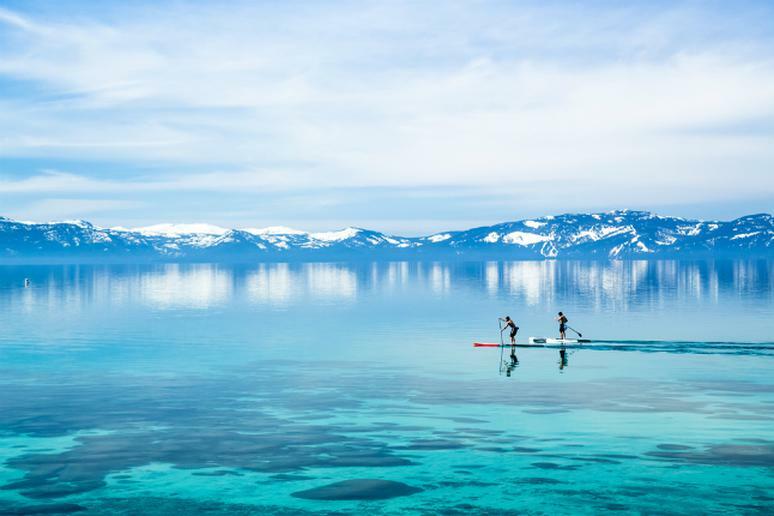 There aren’t too many activities out there as versatile as stand-up paddleboarding, the sport can range from an easy session on flat water to a challenging outing surfing big waves—there’s even a major yoga component for some paddlers. All that diversity may help explain why it’s the fastest growing water sport around. If you haven’t tried it, you’ve surely heard of it and maybe now is the time to get out there for yourself. Stand-up paddling (or SUP, as it’s regularly called) has a very short learning curve, making it accessible to just about anyone and enjoyable for most people too. Many surf and water sports shops now rent the boards and paddles, in addition to teaching classes and guiding trips. It’s not hard to find a place to rent gear and get out on the water, the greater challenge is choosing a spot that’s right for you. Many locations around the world offer great platforms for learning, advancing and challenging your skills on the board, it’s just a matter of choosing. We’ve highlighted 10 locations around the world that offer incredible conditions, wildlife and scenery, in addition to offering rentals and instruction. From Italy to South Africa, take a look at these stellar stand-up paddling trips. The birthplace of modern stand-up paddling, Hawaii is a must-visit spot for avid paddlers. 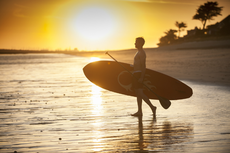 Among the extensive coastline and waters that surround the eight major Hawaiian Islands, Oahu is the best when it comes to SUP. The island offers every iteration of the sport from stand-up surfing to SUP yoga, in addition to the many places to paddle and shops that rent out gear. Beginners will find plenty of flat water in protected coves like Waimea Bay, while expert paddlers can get their share of thrills on the north shore. Best known for ancient canals, old fashioned gondolas and hundreds of bridges, Venice may seem like an unorthodox SUP location at first, but the beauty and novelty make it one of the most spectacular places to paddle. Routinely described as the highlight of the trip, travelers rave about seeing the city from their boards, calling out to passing gondoliers and learning about the history and culture of Italy from qualified guides.